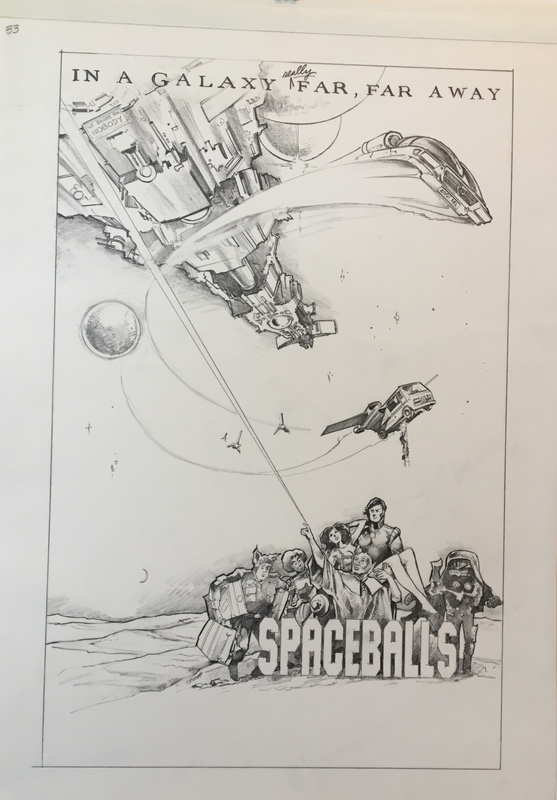 Spaceballs Poster Concept Graphite on Paper by John Alvin is production art from the campaign for Mel Brooks' 1987 comedy classic. 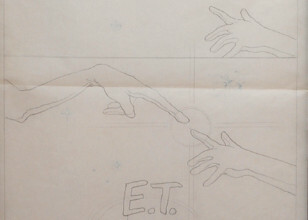 John Alvin, poster artist of E.T., Blade Runner, and 200 other films, was Mel Brooks go-to film artist. John found his breakthrough in Mel Brooks' Blazing Saddles, where he gained attention for his beautiful poster art. John Alvin was meticulous in his artistic process. On his journey to making the iconic Spaceballs poster, John produced art like this one. 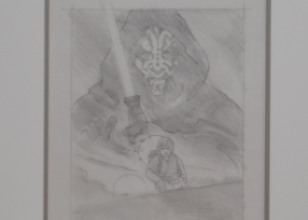 This sketch draws very close resemblance to the final poster, making this concept art a treasure.